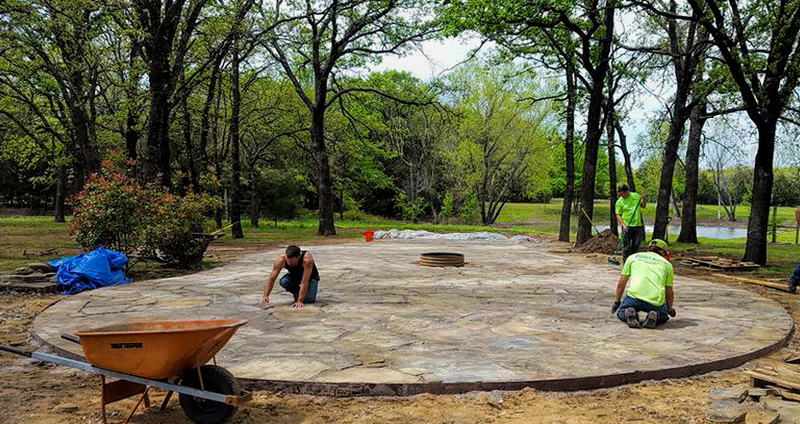 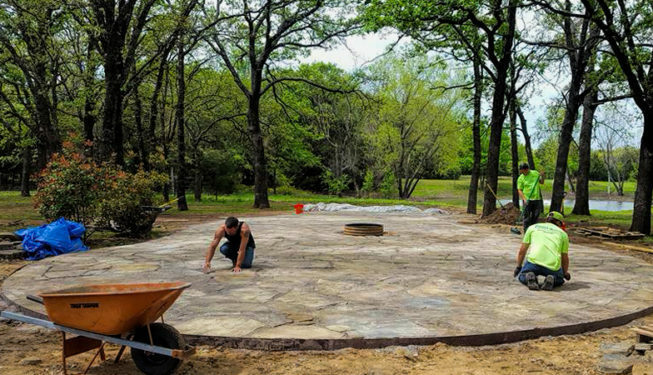 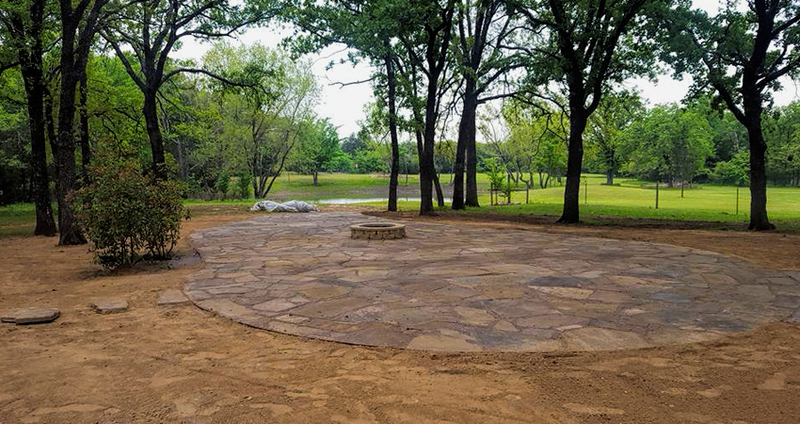 Customer was looking to add a central sitting area, incorporating a fire-pit area, a possible (future) grilling area, with room to relax and enjoy the incredible yard they have. 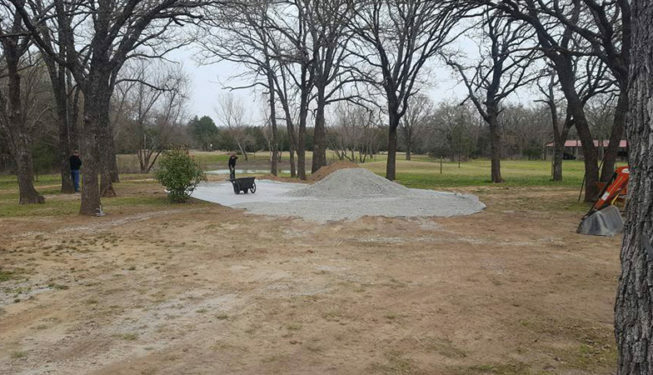 The project in size and scope grew after the initial layout was completed, as the size of the sitting area was increased. 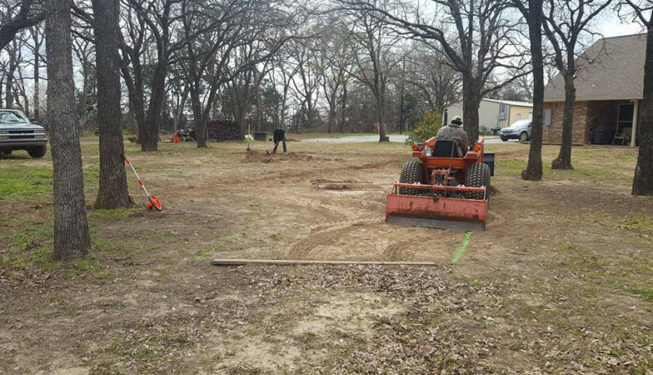 This was not a problem, as constant communication was in place, as well as proper change request documentation. 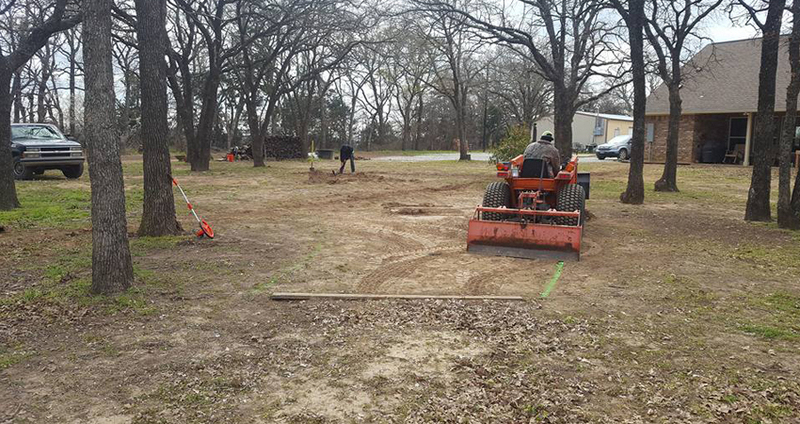 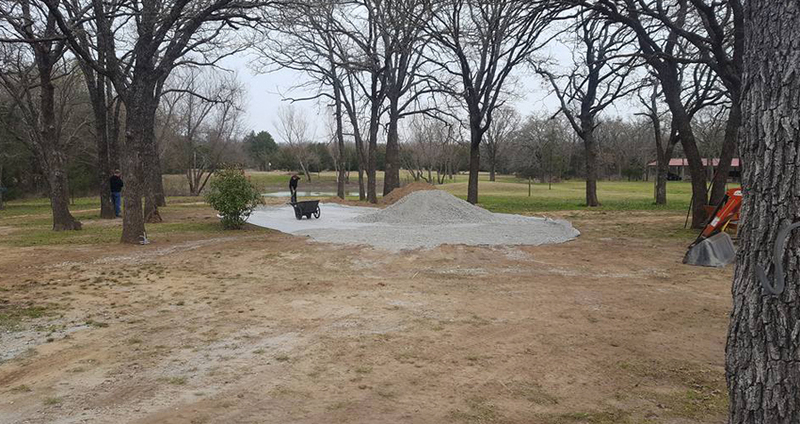 Work began with grading and weed-control cloth being laid, followed by a leveling bed of crushed limestone. 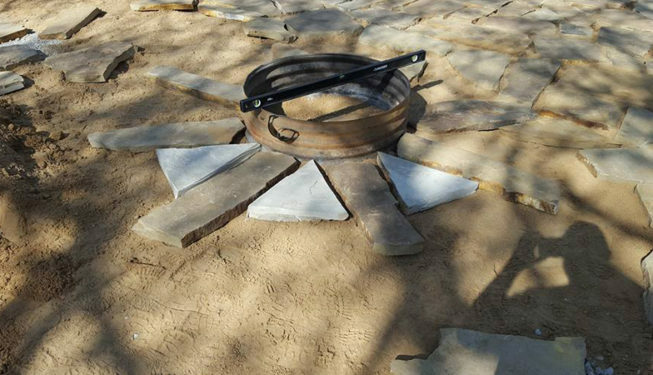 a natural grade was put in place so that water would drain properly, all encompassed by metal edging. 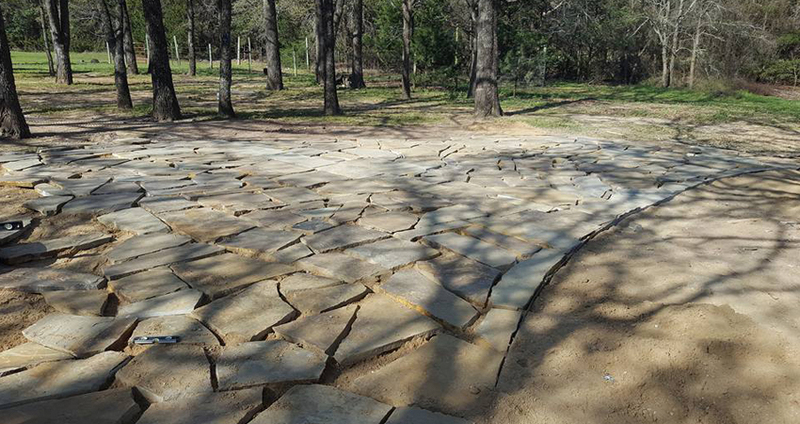 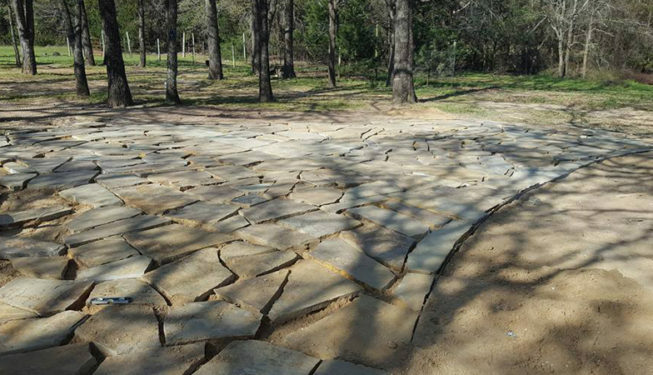 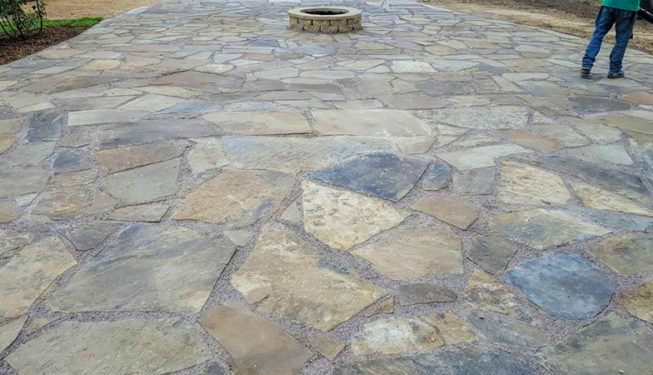 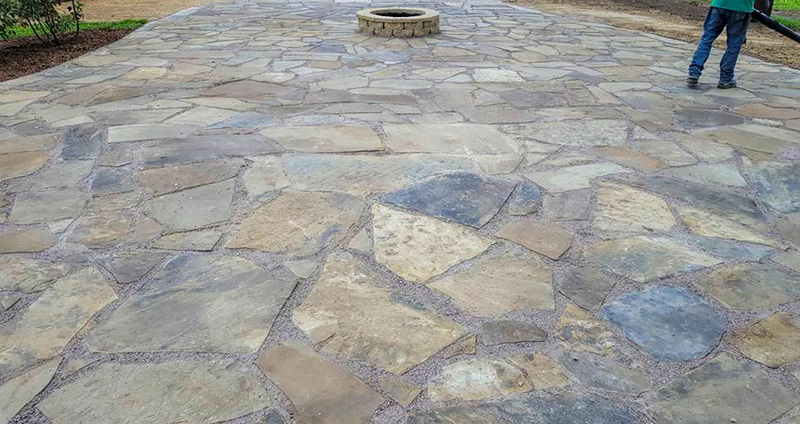 Over 18 tons of flagstone was meticulously hand-placed – stone by stone by a group of landscapers. 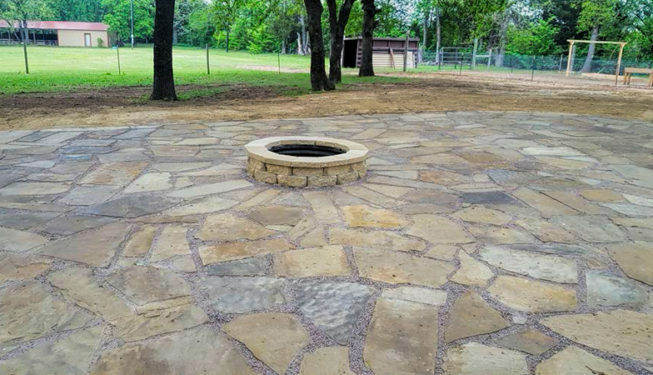 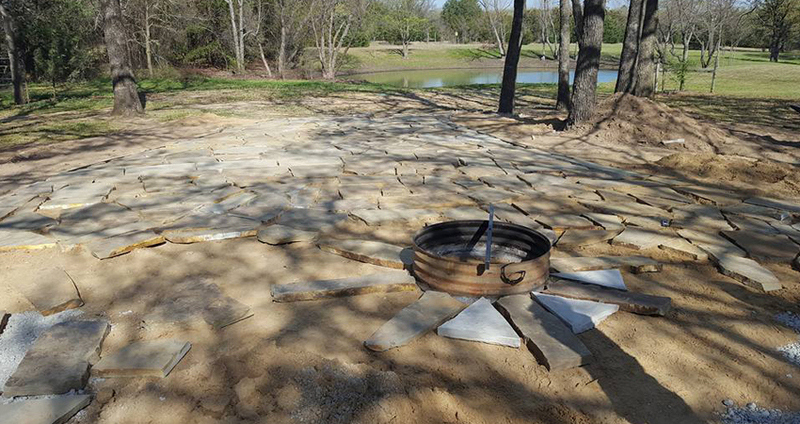 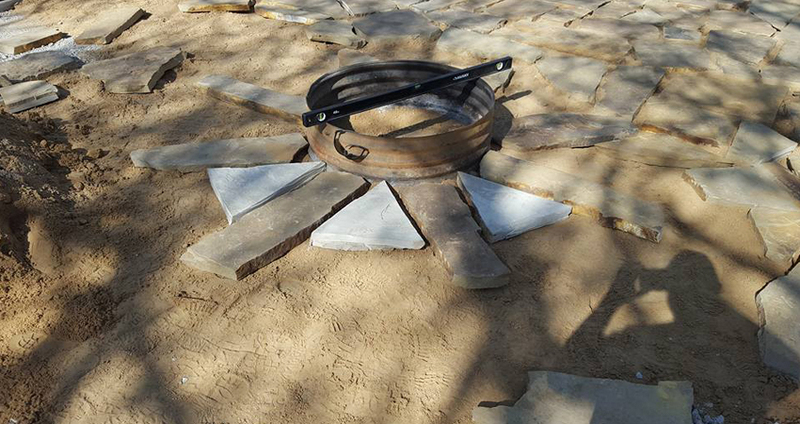 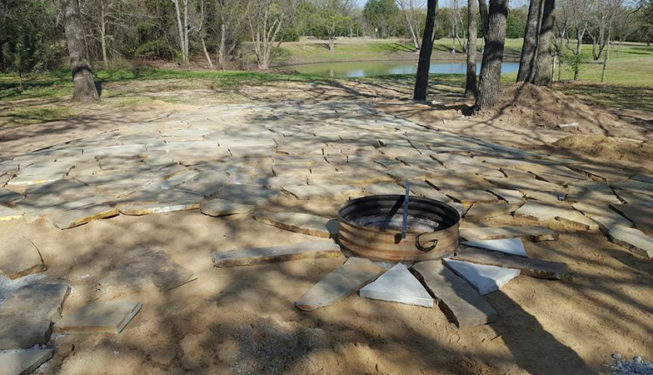 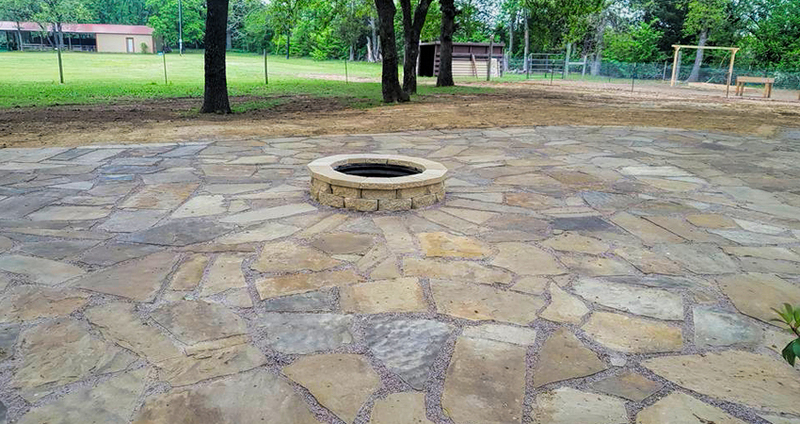 The fire pit ring was put in place with surrounding stones built around it to create a great central focal spot. 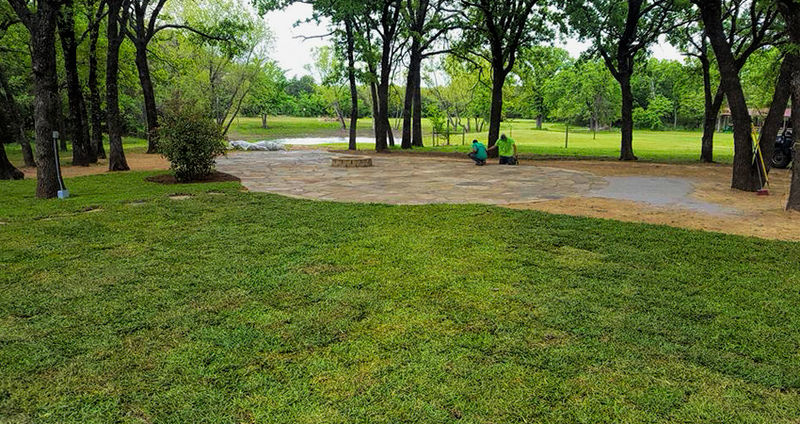 Crushed granite was brought in and “cemented” in to complete the sitting area. 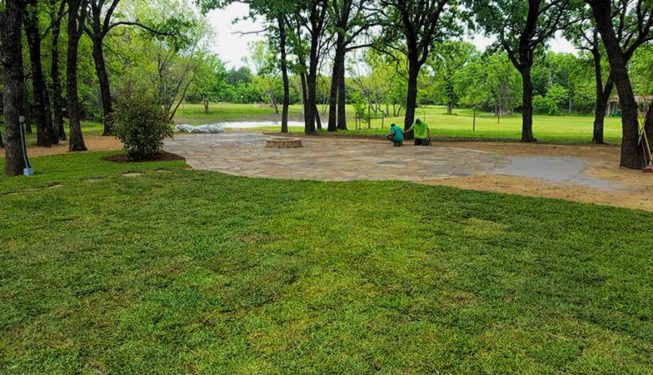 Bermuda sod was laid, from the back of the house down to the sitting area, with a flagstone walking path leading from the house to the sitting area. 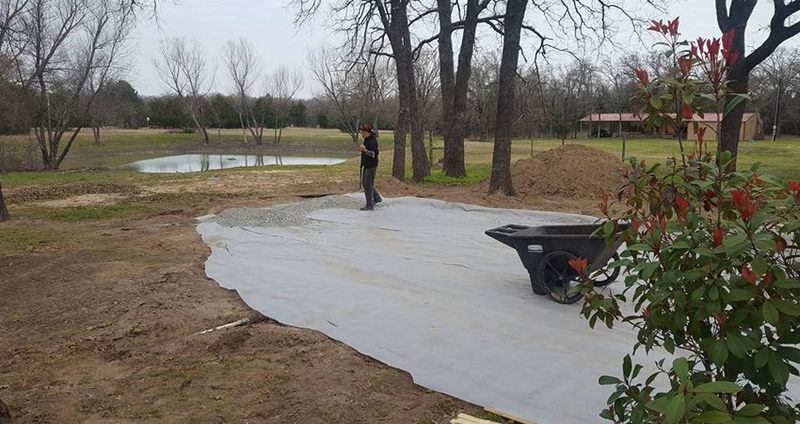 Flower/plant beds were put into place around the whole house. 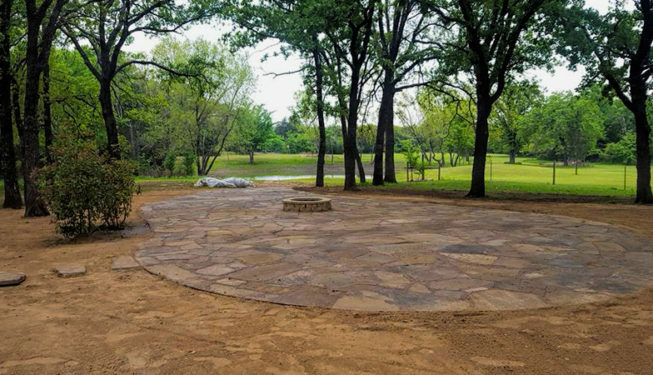 I have to say, it was a tough project for Bryan, Shawn and Bob from Bruce’s Property Services, but I have to say, the results are very much, well, AWESOME!! 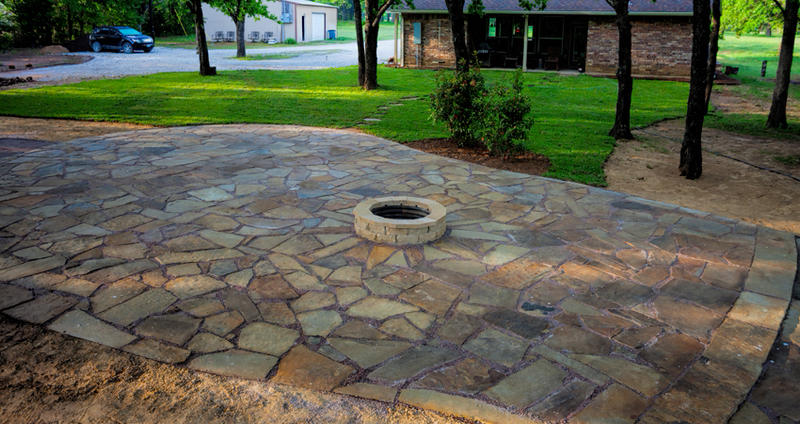 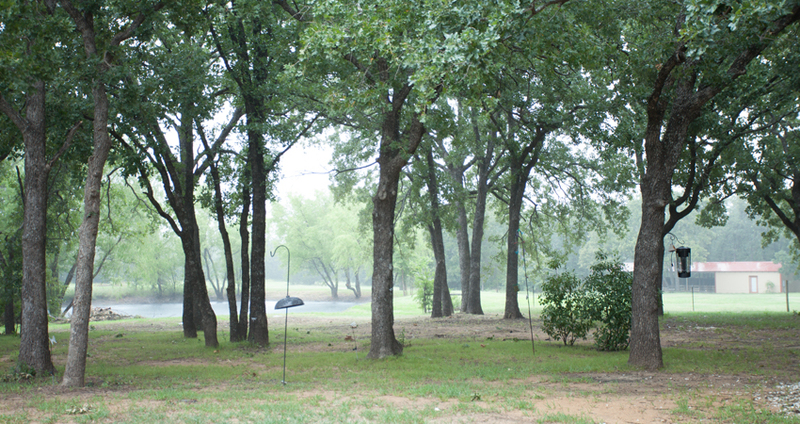 We love the backyard now, from a great place to BBQ, to relaxing around the fire-pit.